Eager to develop some useful skills readily applicable to your own life? Care to share your own practical know-how with others? 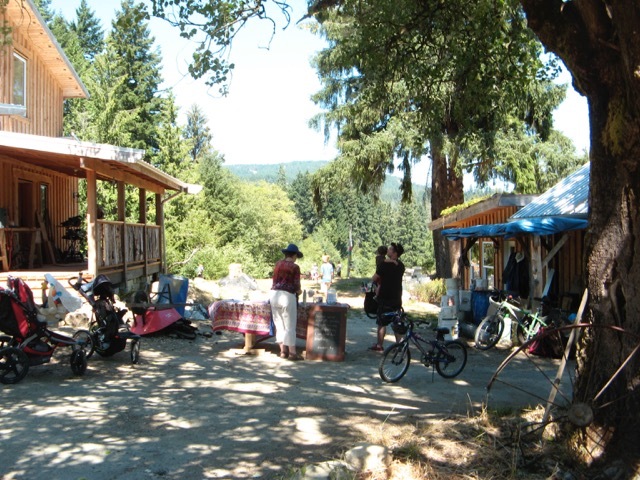 Ready to enjoy a potluck picnic with family, friends and new acquaintances in the idyllic setting of Sooke’s InishOge Farm? The family friendly day will begin with a series of mini reskilling workshops from 10 a.m. to 1 p.m (see schedule below; please arrive early – 9:30 a.m. or a little later – so that we can get started right at 10 a.m.). Topics include cheesemaking techniques (led by Mary Coll), small-engine maintenance (Steve Unger and Tony St-Pierre), tool sharpening (Mike Downey), bear-wise strategies (Debb Read), sauerkraut making (Stephen Hindrichs), pressure-cooker basics and permaculture principles. Dante Chicano and Tom Kral will lead a wild-food foraging walk around the farm and the day’s MC, Lee Hindrichs, will demonstrate how to prepare a herbal first-aid kit. 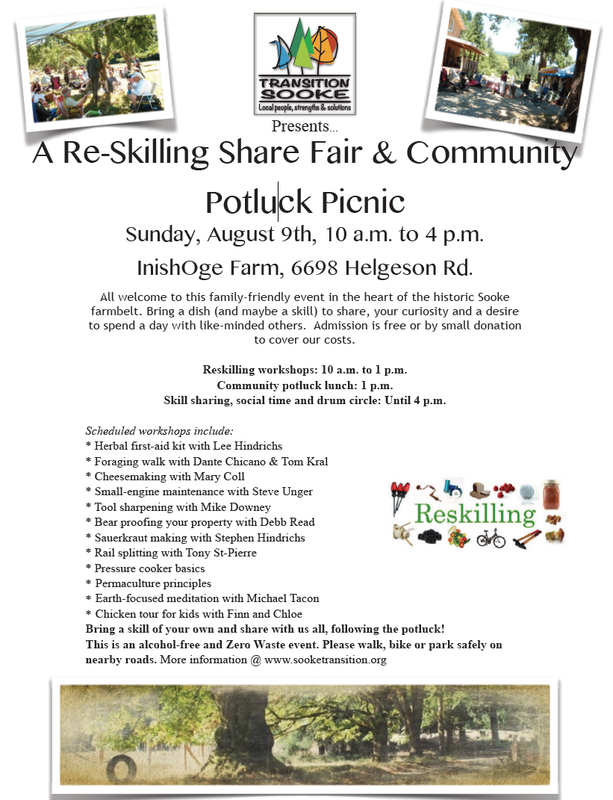 Once the workshops are complete, a potluck lunch will begin at 1:15 p.m. in the welcoming shade of InishOge’s apple orchard. Bring a dish to share, your own cups, plates and utensils, a picnic blanket and whatever else you need to enjoy quality time in the meadow. 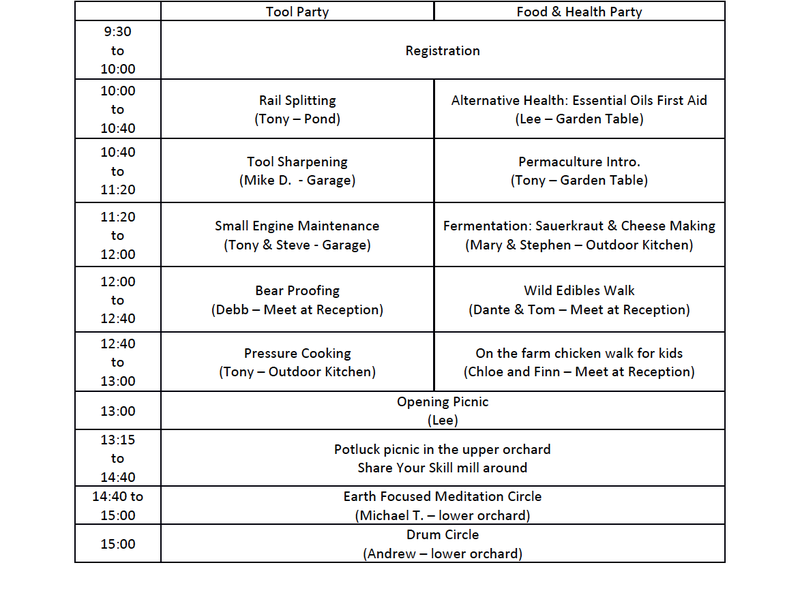 Picnic attendees are invited, if they choose, to informally share some of their own skills once lunch is over – be it seed saving, water conservation, vegetable fermentation, cloth repair, wood carving, sock darning or perhaps shared songs, stories or jokes … you name it. Please pack in whatever’s needed for demonstration purposes and expect to learn some new skills of your own. 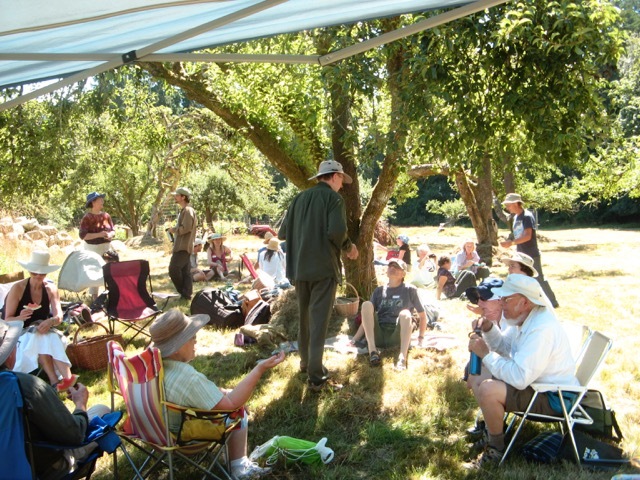 As the day winds down, Transition’s Michael Tacon will lead a mid-afternoon meditation and then Andrew Moore will distribute his array of percussion instruments and noisemakers before leading a drum and dance circle – a highlight of last year’s first Transition Sooke summer picnic at Inishoge. This is both a Zero Waste (i.e., take home whatever you bring) and alcohol-free family event. Parking is extremely limited on site. We’re suggesting everyone walk, ride a bike or carpool. Please park safely and considerately along Otter Point Road or on neighboring streets.